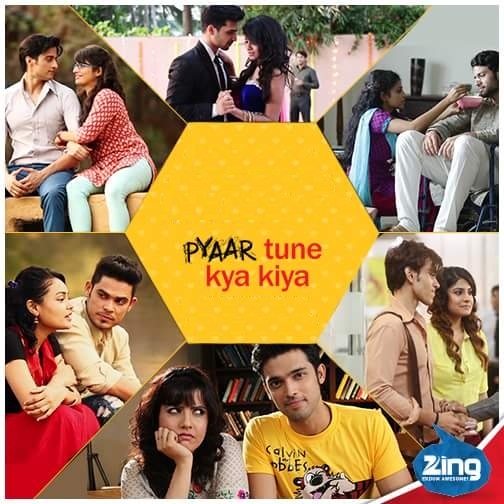 Zing Tv is a Hindi Entertainment Channel which is well known for Youth Oriented Shows and Music. Zing Tv is ready to Launch next season of its love based youth Fiction show " Pyaar Tune Kya Kiya Season-9" from the end of 2016 .The show will be hosted by Prince Narula. Love is an intriguing feeling. When cupid strikes, it brings with it the feeling of Happiness, Pain, Envy, Greed, Lust and Sin. Pyaar Tune Kya Kiya, talks about love and other feelings. Watch it and discover true stories of love, anguish, happy endings and more.